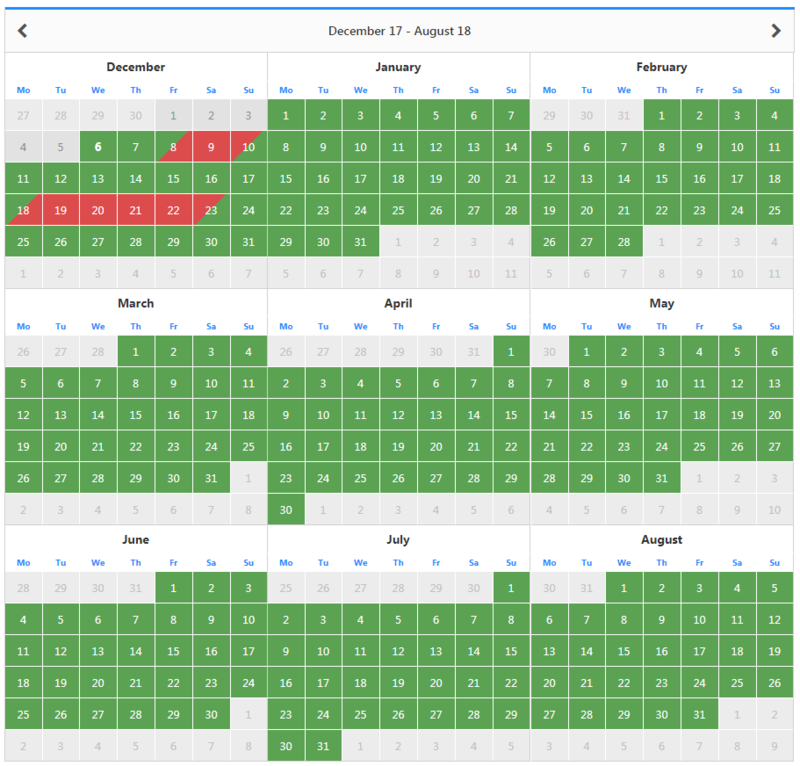 Allows the calendar to display multiple months at once. 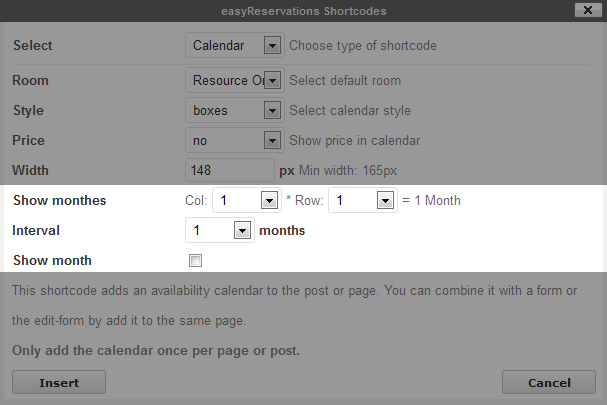 This works by a flexible grid by rows and columns to show any amount of months. 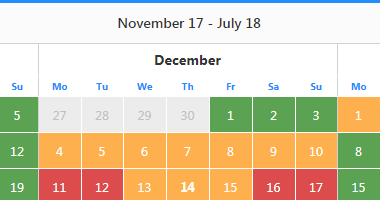 You can choose to display the name of each month over each calendar and the months to skip at prev/next. Sometimes one month is just not enough. The grid system provides full control over the alignment and number of months to show. In addition it’s very obvious to set it up like you want.